Fact: Bubble tea actually refers to the bubble foam atop of the drink after it’s been shaken, not from the Tapioca Pearls. But bubble tea isn’t complete without sinkers, right? 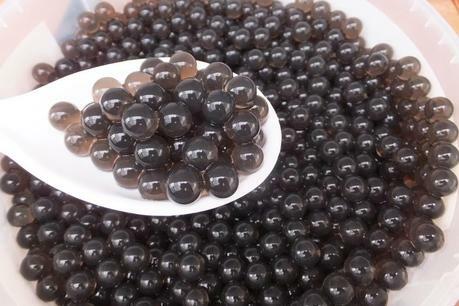 Sinkers are complimentary ingredients that enhance or add flavor to a bubble tea drink. So with the right choice of sinker, your bubble tea will surely throw a party in your tongue. For beginners, picking the perfect sinker can be daunting, especially when the menu offers a handful of choices such as Tapioca balls, Boba, crystals, lime jelly, or pudding. If you’re experiencing the same headache, worry no more, this ultimate sinker list got your back! First off, Tapioca is made of pearled or finely ground cassava root, which is dried and used in desserts or thickening soups. Don’t confuse it with Boba, though. 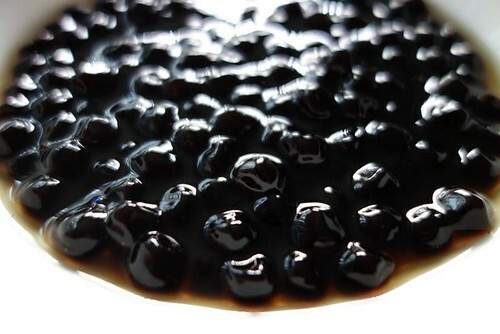 Tapioca pearls are originally white when uncooked; adding brown sugar turns it into a tan. Tapioca Pearls are best paired with almost any bubble tea flavors, especially milk or fruit teas. Must-try: Emperor MT, Royal MT, Wintermelon MT, Lychee FT, and Honey Lemon FT.
We have mentioned this in our previous article, but again, Boba pearls are bigger than Tapioca pearls, in which its chewy texture is similar to gummy bears. Plus, it’s darker, softer, and sweeter. So if you’re a fan of chewy foods, you’ll enjoy this sinker in your bubble tea. Boba balls can also go with every flavor, especially if you want to add extra sweetness and fun to your drink. Must-try: Okinawa MT, Hokkaido MT, Emperor MT, and Choco Royal MT. If you love Red Bean Buns or Dou Sha Bao, we bet you’ll be enticed to know that Red Bean is one of the popular toppings to bubble teas. Red Bean or Adzuki Bean is a vitamin-rich dark red bean that is usually sweetened by boiling it with sugar. Many people describe its taste similar to sweet potato. Red Bean sinkers go best with milk, chocolate, or Matcha flavors to burst its sweet taste without the umay factor. Pudding is basically made with eggs and milk, which can be either a savory dish or delectable dessert. This soft and velvety sinker is best paired with any milk-infused tea flavors, but don’t go well with fruit-infused ones. Must-try: Double Green Tea, Okinawa MT, Royal MT, Okinawa MT, Taro Lover, and Chaffe MT. Grass jelly or leaf jelly is a dessert that is similar to Gulaman with a slightly bitter, roasted taste. If you’re not fond of sweets, this is the perfect topping for you. It goes great with coffees and milk-infused teas to balance out the overpowering sweetness. Must-try: Cold Assam Black Tea, Emperor MT, Okinawa MT, Wintermelon Sweet, and Honey Lemon. 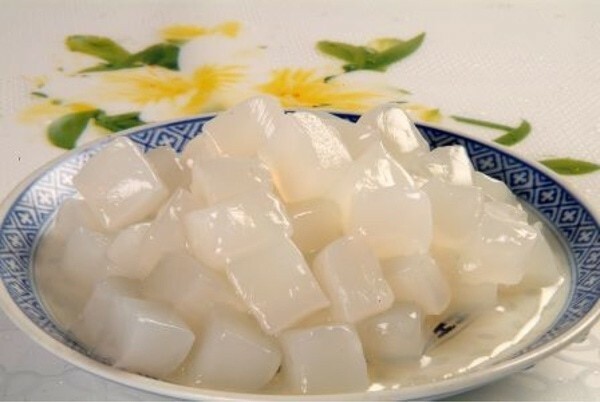 Nata de Coco, also called Coconut jelly or crystals in some bubble tea stores, is a translucent jelly-like food produced by the bacterial fermentation of coconut water. Nata de Coco is best paired with fruit teas than milk teas. Must-try: Yakult-Blended Fruit Teas, particularly Lychee Yakult; Calamansi FT, and Grapefruit FT.
For sensitive drinkers, Aloe Vera jelly will be your excellent pick. It’s a white to translucent jelly, with flavor that resembles a chopped watermelon. This healthy sinker goes perfectly well with fruit-flavored teas, particularly citrus and green tea. Must-try: Matcha Latte, Double Green Tea, Grapefruit FT, Lychee FT, Honey Lemon, and Calamansi FT.
Have you found the perfect sinker for your bubble tea? Great! Now you’re just a drive away from experiencing our top-selling milk teas. Head to your nearest Serenitea branch today and mix and match these sinkers with your favorite tea drink!